BALTIMORE - After a complete shutdown of negotiations, the Baltimore Orioles and Chris Davis have gone back to the bargaining table and agreed on a 7 year $161M contract. 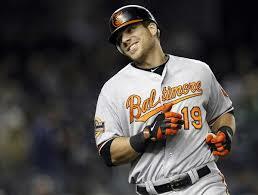 The first baseman will help to solidify the Orioles batting order. There were reports floating around that Yoenis Cespedes and the Orioles were talking which might have brought Davis back to the table.